Five-time champion jockey Willie Carson on Saturday led the tributes to John Dunlop, one of the great trainers of his generation, who has died at the aged of 78 following a long illness. Dunlop won the Derby with Shirley Heights and Erhaab, the latter ridden by Carson, and was also responsible for champion sprinter Habibti and star filly Salsabil. He enjoyed a long and successful spell at the top, saddling more than 3,500 winners in a career spanning almost 50 years. Having retired in 2012 his racing legacy lives on through the training exploits of children Ed and Harry. Dunlop was also crowned champion trainer in 1995, the season in which his top-class miler Bahri memorably won the Queen Elizabeth II Stakes under Carson, who famously took the outside route under the trees. One of the last great horses trained by Dunlop at his Arundel base was Sakhee, who finished runner-up to Sinndar in the Derby in 2000 before moving to Saeed Bin Suroor as a four-year-old, when he posted dominant victories in the Juddmonte International and Prix de l'Arc de Triomphe. Having developed a reputation for targeting big races abroad, Dunlop registered his last Group 1 triumph when Give Notice landed the 2002 Prix du Cadran at Longchamp. "I knew John was terribly poorly but it still comes as a shock," said Carson. " 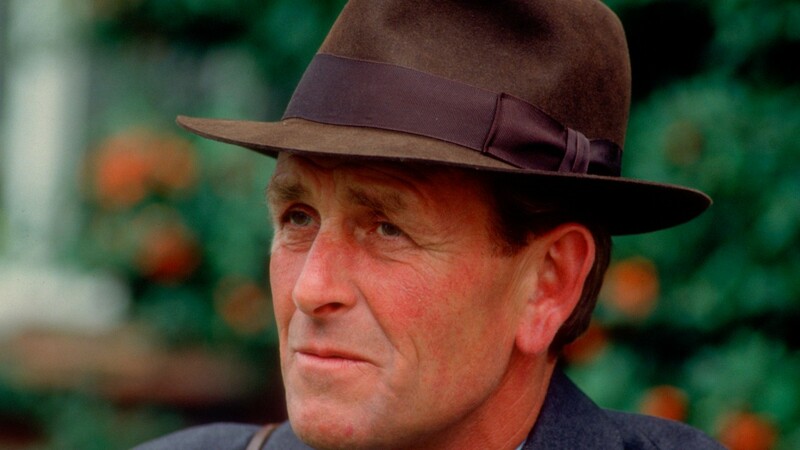 "He was a great man and I rode a hell of a lot of winners for him –more for him than any other trainer. He was a super man to ride for and we had a great relationship. It was a great partnership. We knew what was expected of each other, and we knew what the horse would want without a great debate." Carson, whose Classic hits with Dunlop included Salsabil in the 1,000 Guineas and Oaks and Erhaab in the Derby, added: "The first big highlight for me was winning the QEII on the Duchess of Norfolk's Trusted in 1977, and then after that they just kept coming, year after year. Salsabil was one of the greatest fillies I ever rode and the day she won the Irish Derby she beat the colts hands down without me having to touch her. "I travelled the world with John – to Japan, Australia and so on. What people might not know is that a great passion of his was art, and whenever we arrived in a new city he would seek out the best art galleries and take me along. He taught me all about art, as well as everything else. "I had a great time with him. It's very sad news, and devastating for Sue, who has not been in the best of health herself. He was a great man, a great trainer, and a hell of a loss to racing." Erhaab ran in the colours of Hamdan Al Maktoum, whose long-serving racing manager Angus Gold also provided some warm words. "It's hard to know where to start," he said. "We had so many fantastic days together and he was obviously a great man in my life. The highlights I suppose were winning the Derby with Erhaab – we [Hamdan's Shadwell Stud operation] have only done that twice, and so that was very special – and winning the three Classics with Salsabil, who was fantastic. "Salsabil was beautiful and she was a proper Classic winner in that she had the speed for a mile and stayed a mile and a half. She was top-class, cantankerous and tough, and John trained her beautifully. She only had one off day in her life, and that was in the Arc when she was favourite. We haven't had one quite like her since. "Sheikh Hamdan had the highest regard for John and was always asking of him. "John was a great stockman, whether it was horses, cattle or his show horses, which he loved so much. He was fascinated by the whole sport, every bit of it, and he was always interested in other people and what was going on around the world. He and Sue travelled every year to new places, mostly connected with racing." Gold praised Dunlop's education, adding: "He was immersed in it entirely and made it enjoyable for everyone around him. He was a brilliant man to be around. For me, starting out knowing even less than I do now, he was a great man to be involved with. He would point you in the right direction and just give you a gentle rap on the knuckles if he thought you were doing something wrong. "He was a big, big man in my life." 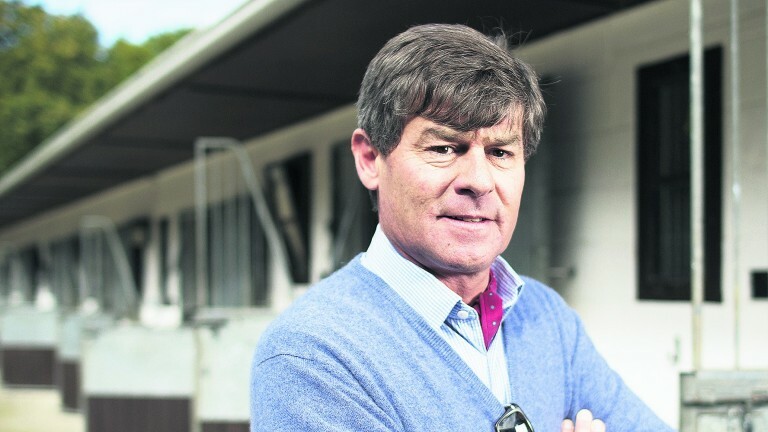 Simon Crisford: "John gave me my chance when I left school"
I rode my first ever Royal Ascot winner on Patriarch for John in 1986 in the Hunt Cup, and we had many years and lots of winners together. John was an absolute gentleman, and it's such a sad loss. He was a great master at grading his horses. He knew the forward ones, he knew the ones that needed time, he knew his handicappers and he knew his Group horses. He got them all in the right grade and he didn't mix them up. It was a big operation and he was a very consistent trainer for many years. He was always a gentleman with it too. I was lucky enough to take over from Willie and ride some lovely horses for John. In my first year we won the July Cup with Elnadim. He was always a gentleman to deal with and a pleasure to ride for. He had to put up with me for 18 years as Sheikh Hamdan's first jockey, and three before that as number two. He never had jockeys on his gallops, and the only time I rode out there was when I was an apprentice with Tom Jones who got me the opportunity there that morning. It was the year he had Snaafi Dancer, and I remember going to have a look at him so I could see what a $10 million horse looked like. I never rode out there again, and I don't think Willie ever rode out there until after he had retired. If he wanted us to sit on one we would go to Goodwood and work them on the track. John gave me my chance when I left school, and for that, and so much more, I will always be grateful to him. It was my first job in racing and I was pupil assistant for two years. He was a great trainer and, much more importantly, he was a wonderful person. He put so much back into racing through all of his charitable efforts, and he worked tirelessly to help others. It's very sad when you work for someone of John Dunlop's calibre for six years and hear of their passing. I wouldn't be here without him. I think he was the one who gave me the passion for English racing. I enjoyed my time so much working for him that I got the bug for it. It was such a good experience. He was very good at placing his horses, and his patience with them – allowing them to get stronger and more mature – was one of his great gifts as a trainer.